By Norman Smith, For 14 years i have been an electrician in the construction industry in South Florida. I worked with many different landscape companies installing landscape lighting. I have work with landscapers with design of light to accommodate plant illumination and specific lighting layouts. Landscape is sometimes formed naturally or from a major calamity in extreme cases. WE have human landscapers that can fix those major events on the landscape and make them beautiful again. Landscape is sometimes, "natural". Sometimes , designed to look natural or seemless with what was naturally formed, Yes landscape is more that just lawn mowers and leaf blowers making loud noices. If your need is more than just standard mowering of the lawn, ie: the need to relocate a massive tree, cut over hanging branches, remove a tree completely, create beautiful oasis in the city, light up a tree canope, iluminate a path, tree, or water feature, this type or work and more are landscaper services. This list will compile tem best landscapers in palm beach county, for design lighting, tree service, maintenance services, including pest control, fertilization, sprinkler systems and illumination. When it comes to landscaper in Palm Beach County. O'Hara Services Stand out as one of the best, if not the best all inclusive landscape services provider. It is much more than tree planting and lawn mowering for O'Hara Services. O'Hara offers complete lawn care, tree trimming, home pest care, Sprnkler services, landscape rehab. A full service care for the landscape, home irigation and pest control. A one stop place for all the services related to lawn care. This landscaper stands out because of this. Other landscapes may specialize in design more than the miantenance that goes along with the care and up keep of the landscape. Because they may use different sub contractors. This give O'Hara the edge about some other lanscape providers in Palm Beach County. Close to the very top of the list is VividGreen Landscaping. Also a full service landscaping company with very good designs for yard and outdoors grounds area. VividGreen prides itself on artistry and design. This company seeks out environmentally friendly pest control products and states that they are the "leader in the Palm Beaches" Also claiming expert installations and maintenance of swimming pools and holiday lighting. This landscaper has a bylingual staff that communicate very well with other contractors on projects that i have worked. VividGreen Expertise shine through from start to finish. As an electrician, planning landscape lighting installation is very important to get everything close to where it needs to be when you are just looking at a big empty lot space. VividGreen representatives seem to show real profesionalism in this aspect of landscape installation. While cordinating with customers and electrican to get everthing perfect to the customer's satisfaction. All landscapers are not created equally. Some Botanist, horticulturist plant loving environment loving people. May not see themselves as landscaper. They take more pride in the acronyms than the actual physical labor. However they play a big part in sculting the landscape and provide great knowledge in plant care and astetic looks of plant eco systems. Botanical Vision is one of the best horticultural designers in Palm Beach County. They are very knowledgeable of the plant life local to the area and provide a vast knowledge as to environmental compatible plant life to the tropical climate of Palm Beach and South Florida. As an Electrician, my view on landscaping is most times appreciated at night when the sun goes down and the lights come on. A beautiful tree illuminated by a perfectly placed light fixture can make an extraordinary difference in how a person sees the scape of the land at night. 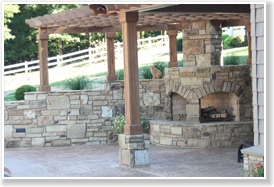 D'Alessandro Landscaping is one of the top landscape companies that also appreciates this beauty. D'Alessandro Landscaping is very meticulous when it come to plats selection and the way that plant is complimented by landscape lighting. For D'Alessandro, it seem that they consider even the smallest detail of a landscape system. The reflecting quality of the tree leaves to the curves and profile of branches and bark of tree in the full project. 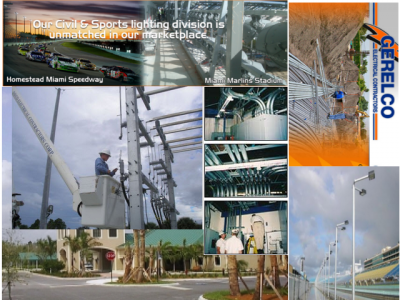 3 Best Electrical Contractors In Palm Beach County To work for.